Step 1: Use the system map to locate your start and end points and to find the bus route that will take you where you want to go. For some trips, you will have to use more than one bus. Click here to see the system map [PDF]. Step 2. 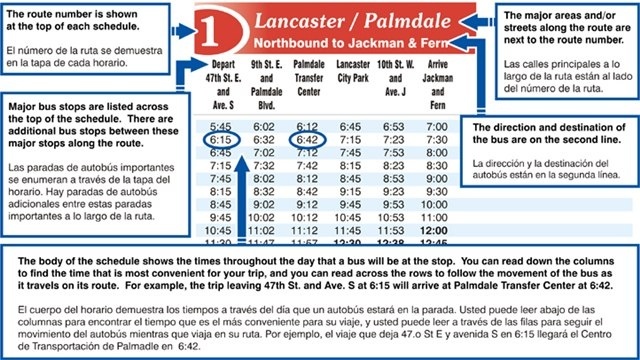 Once you know which bus routes you will be using, click on the time schedule for that route. Step 3. If you need help planning your trip, AVTA customer service representatives will be happy to help you. Call us at (661) 945-9445. Our friendly associates will help you get to where you need to go.